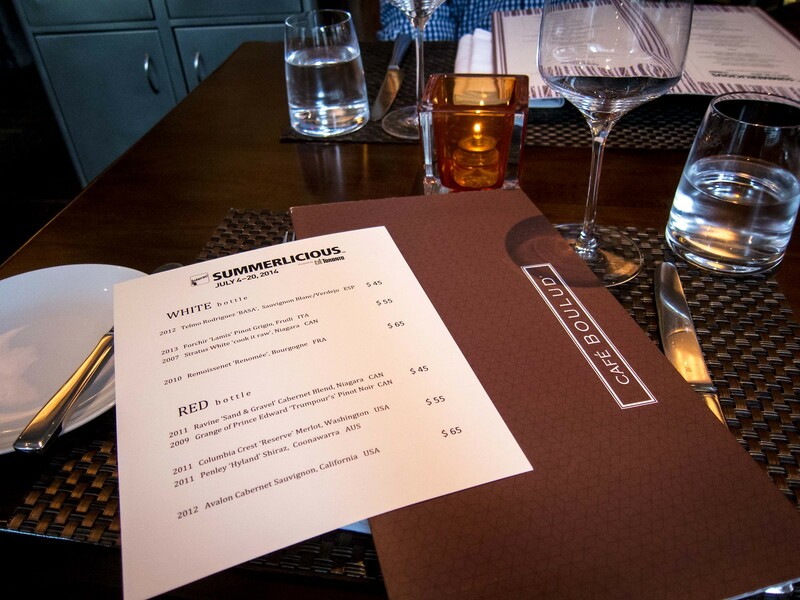 Of all my summerlicious picks this year, I was most excited for dinner at Cafe Boulud. Due to scheduling conflicts, I had to move this reservation 3 times, but I was determined to make it and the meal was worth every effort. 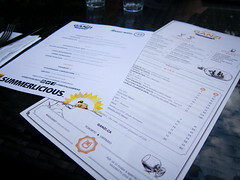 Cafe Boulud was, hands down, my favourite summerlicious menu this year. 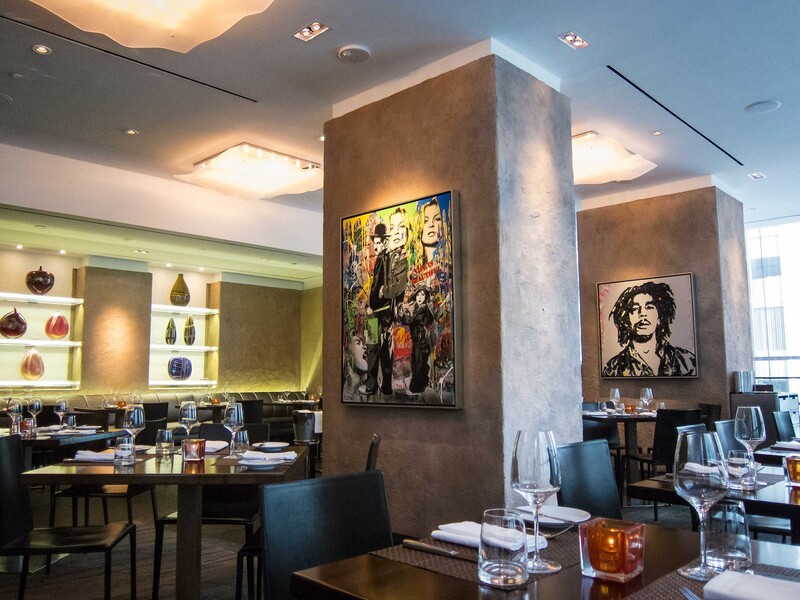 Atmosphere: Located in the Four Season hotel in Yorkville, Cafe Boulud’s decor was contemporary, modern and decorated with paintings of pop culture icons. The space was open with lots of natural lighting provided by the full glass walls. 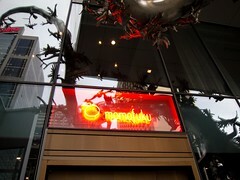 Our reservation was for 5:30pm on a Sunday and the atmosphere was relaxed and comfortable while still refined. I’m adding Cafe Boulud to my catalogue of special occasion and fancy brunch restaurants. Service: Our server was friendly and attentive. 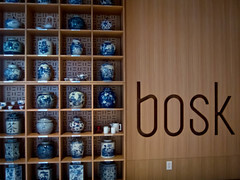 Each dish was accompanied with a detailed description as it was served. Service was surprisingly quick with our meal only lasting an hour and a half. There was no lull between courses and plates were cleared right away. 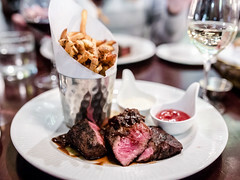 We didn’t linger over our food that day since The Fiance had a flight to catch early Monday morning and we appreciated the efficiency. This was especially nice as we didn’t feel rushed at any point. Food: After placing our order, two amuse-bouche bites were served. 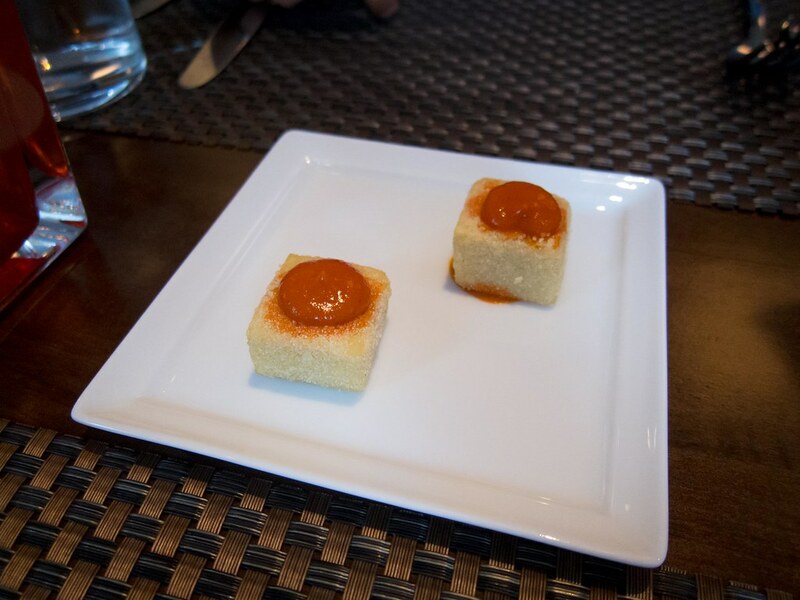 The squares were crispy chickpea, topped with a pepper sauce; a yummy start with a mix of textures. 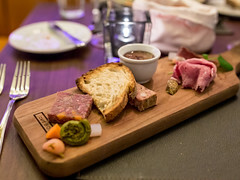 For appetizers, I ordered the tuna tartare while The Fiance has the Terrine of Lamb Leg. 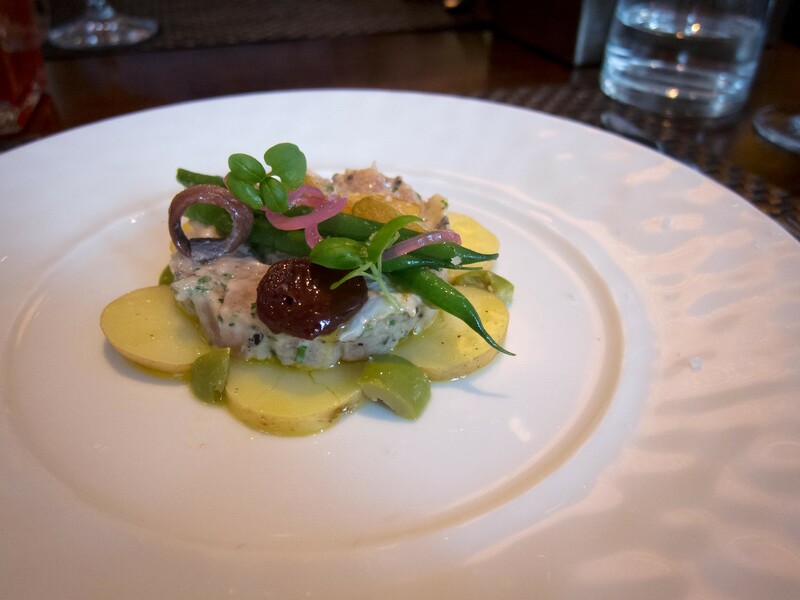 I fell in love with my tartare; the crisp beans, rich olive oil, soft baby potatoes and fresh tuna were amazing. Every bite was perfect and I didn’t want to share. 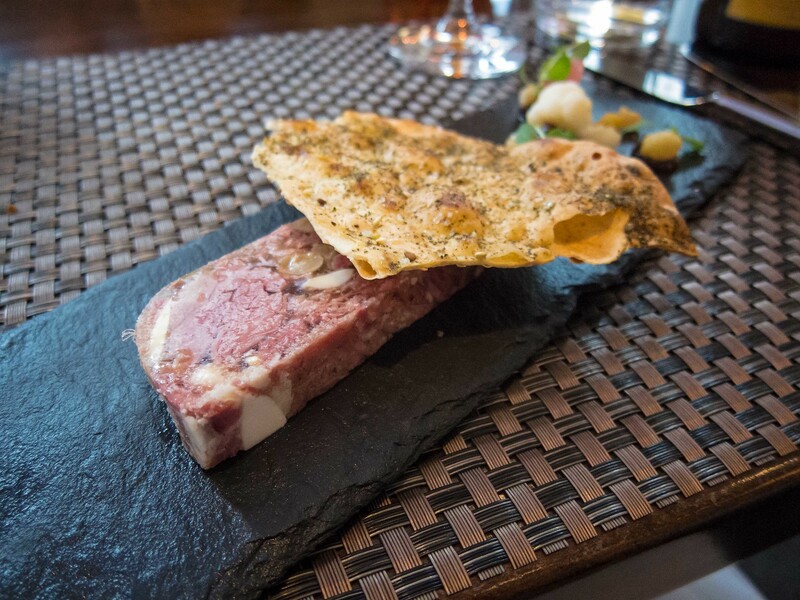 The Terrine of lamb leg was also good, not very gamey but meaty. Presentation of both dishes were pretty. 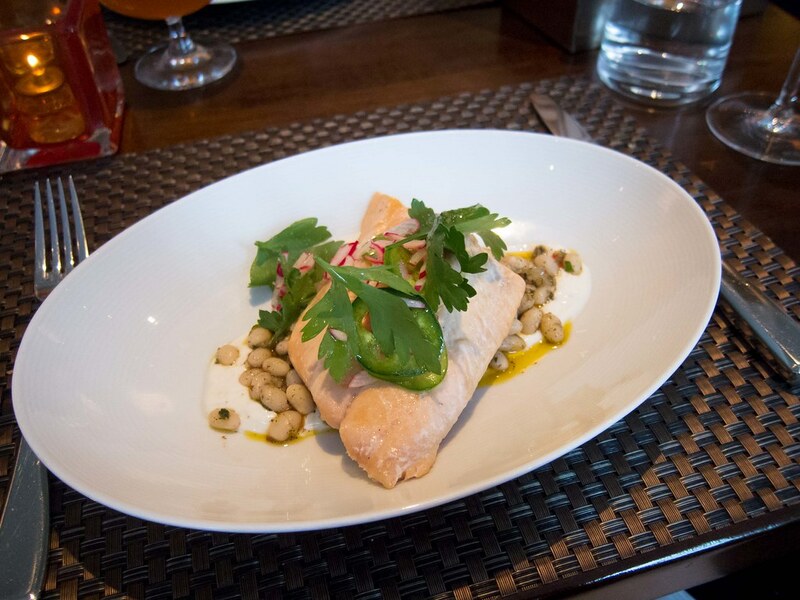 Sticking to fish that night, I had the BC Pink Salmon for my entree while The Fiance ordered the Beef Brisket. Both dishes were delicious with their own merits. My salmon was flakey and soft, perfect to my liking. I loved the nuttiness from the fresh raw radish and the spice from the raw slices of jalapeno. The entire dish was light and summery. 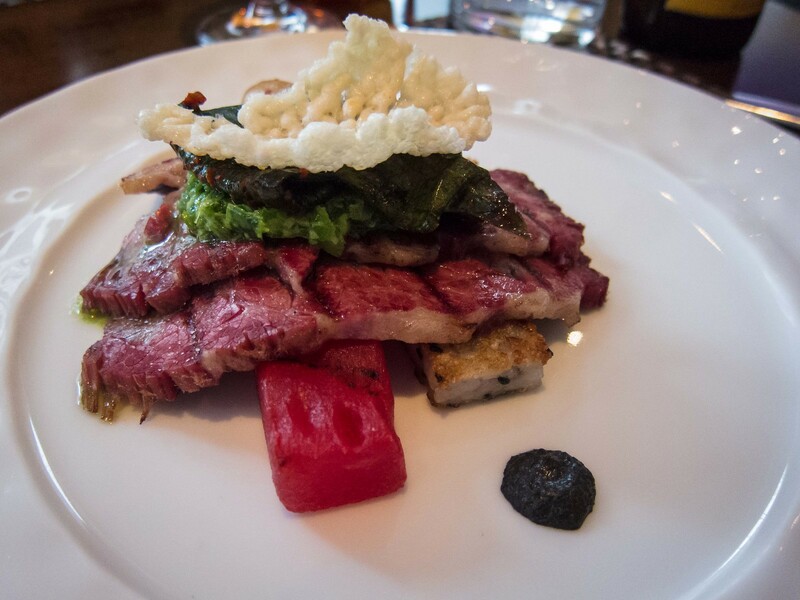 While the brisket was a heavier protein, the flavours were still fresh and light with the grilled watermelon, kimchi leek and airy crispy rice topping. The brisket itself was tender, juicy and a generous portion size. Usually, The Fiance and I swap plates half way through to sample each other’s entrees. This time though, our own orders matched each of our palettes so perfectly that we were both less than eager to switch. Dessert consisted of a Peach Sundae and Chocolate Cake plate. 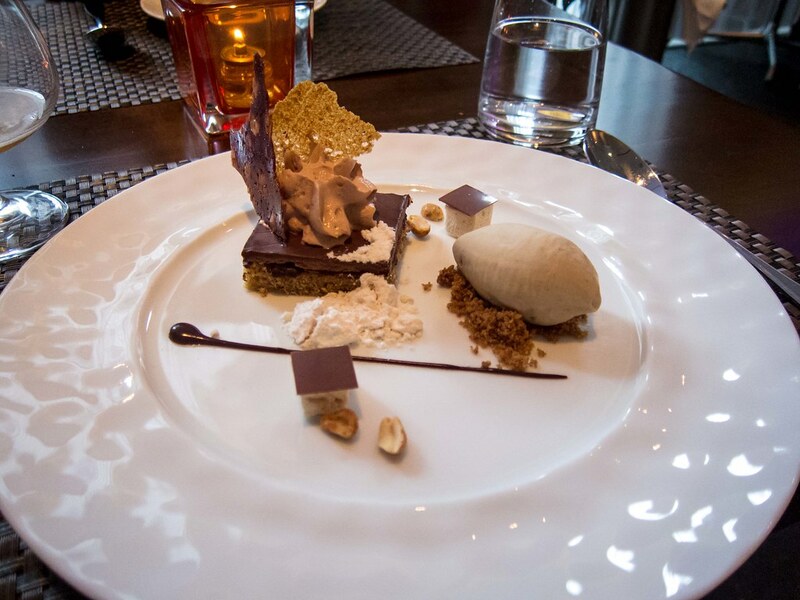 I loved that both desserts were rich and indulgent without being overly sweet or dense. 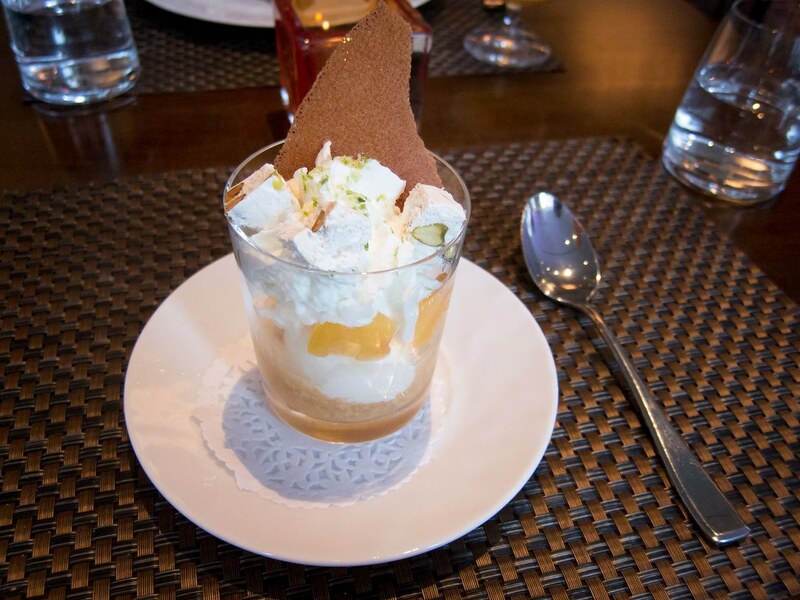 The creme fraiche ice cream was airy and highlighted the freshness of the peaches. The toasted marshmallow ice cream was amazing, not as good as Gregg’s but close. I also liked the use to dark chocolate.